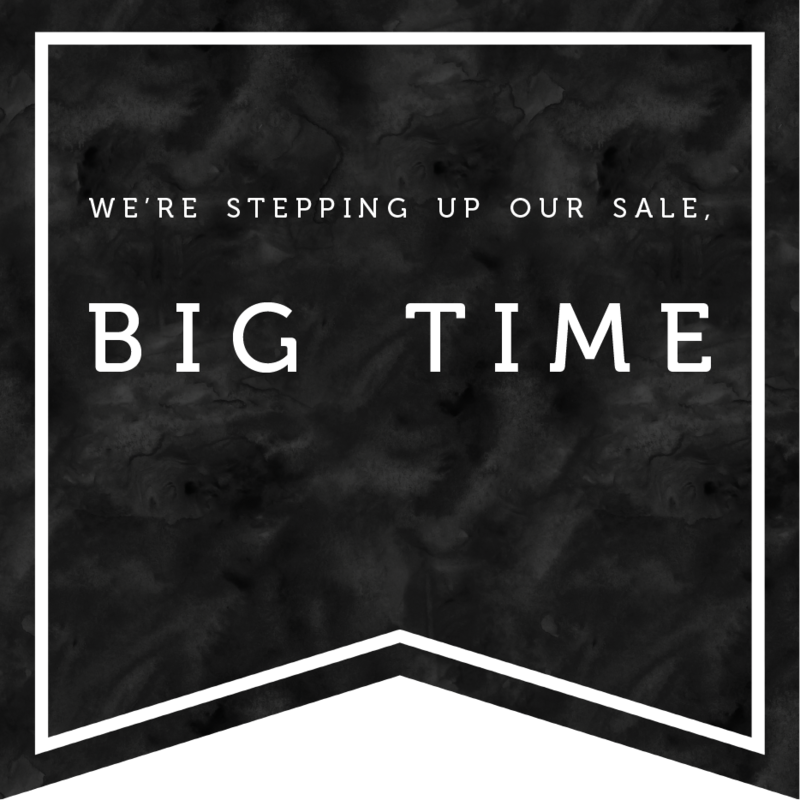 Q: Excited about the Semi Annual Sale? A: Cancel your plans – tell your hubby to figure out dinner on his own (for once) – call your bestie – shop ‘til you drop! Q: When can I shop the Semi Annual Sale? A: We are open 10am-6pm, Monday thru Saturday! Come soon! Q: Can I shop on my phone or tablet? A: Yes! But as always, we have a better and more dynamic selection in the store. Q: What’s your return policy on Semi Annual Sale items? A: All Sale items are final and are not eligible for return or exchange. Q: Is it worth calling in sick or skipping yoga class for the Semi Annual Sale? A: 100% YES. This is a preventative measure. Missing out on the dress you’ve been dreaming about for months will likely cause red puffy eyes, increased drinking, an inability to rise from a horizontal position and a host of other bad decisions. This really is in your best interest. Q: Is the Semi Annual Sale the best sale of the year? A: We have sales throughout the year, but this is the biggest and bestest! Don’t miss it and remember to shop early and often or you might just regret it. Q: Should I employ my husband/boyfriend/bestie/child/mother to also shop for me during the sale? A: Divide and Conquer, but beware of bestie’s and daughter’s who share your love of LIBERTÉ fashions – they can be sneaky and steal the best deals for themselves! Q: What should I do if I am out of town? A: Email us at info@givemeliberte.com with a list of items you are interested in with your size and we will send you options via email or text. Q: Can I call and put Semi Annual Sale items on hold? A: You must completely check-out and pay before the product is unavailable to other shoppers. Q: When does the Semi Annual Sale end? A: Usually the sale ends within two weeks, but the best selection is on Day 1. A: FREE! And we also do free delivery in the OKC metro. Q: Do you have any tips? A: For starters, a smile and a wink get you further than you think! Q: What if I missed out on the thing I really wanted? A: Take the high road (but you’ll need new clothes)!